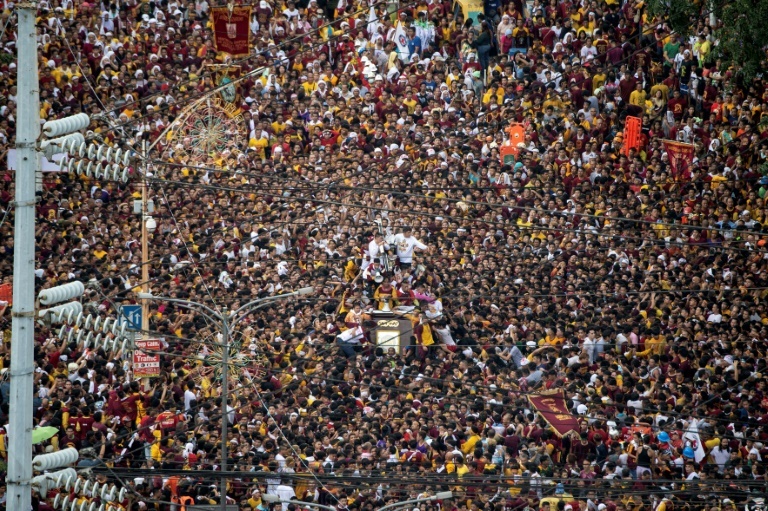 More than a million people thronged the streets of Manila for the Black Nazarene procession. 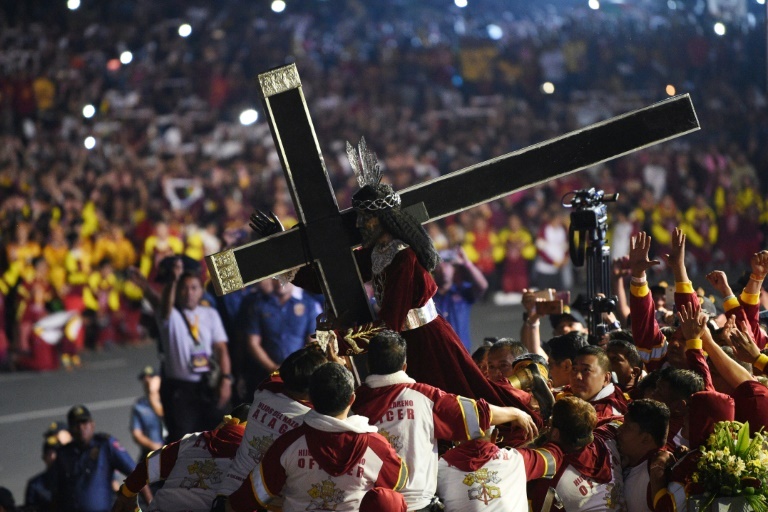 Throngs of believers flung themselves at a historic statue of Jesus Christ as it was paraded through the Philippine capital on Wednesday in an annual festival that is one of the world's biggest shows of Catholic zeal. 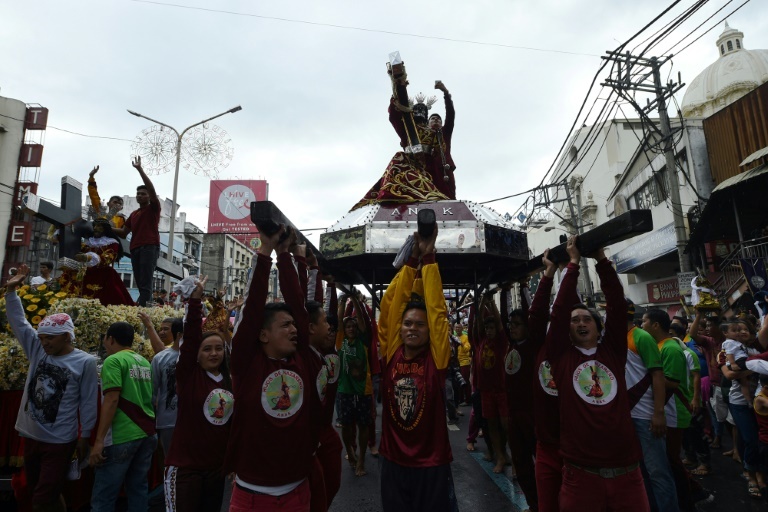 Devotees massed before dawn to catch a glimpse of the life-sized statue as it was wheeled on a metal float along a 7-kilometre (4.5-mile) route through Manila's narrow streets by a crew tugging thick ropes. "I survived a stroke because of him (God). I will do this every year until I am 100 years old," said 70-year-old Joaquin Bordado, who has attended the procession for decades. "God ordered me to do this and I feel no exhaustion," he added, wearing an ankle-length robe and crown of barbed wire. 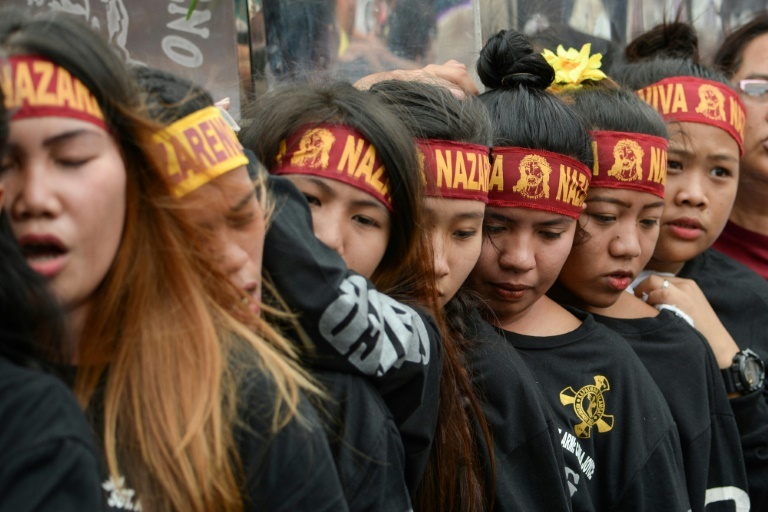 Around him people chanted "Viva Nazareno" (Long live Nazarene), cheered and jostled for a glimpse of, or selfie with, the cross-bearing statue, cloaked in a maroon robe and topped with a crown of thorns. It is believed to have survived a fire in the 17th century while en route to the Philippines, which became Asia's bastion of Catholicism under 400 years as a Spanish colony. "It is so dangerous to join the procession. If you see people charging forward, this makes me nervous," said 21-year-old college student Angelica Alcantara. "Many young people do this for fun but this is about your faith in God," she added. But Church officials say the practice is a vibrant expression of faith in nation of 105 million that is overwhelmingly Christian. They include more than 80 million Catholics. "If you are an outsider, you will not hear, see or feel that faith. You will only see a very unruly or chaotic situation," said Father Danichi Hui, a priest at the procession's destination, Quiapo church. "But inside there is a rhythm of peace. There is a serenity," he told AFP.